New MAC/Rodarte product names causes Bloggers fury. MAC, you naughty little agent provocateurs. You have the blogging community’s knickers all in a tenched up twist over the launch of your MAC/Rodarte make-up line. Oh, It’s not the glorious coloured lip gloss and scrummy looking eye colour. It’s not even the ghostly white palour of the model used in the campaign (which, by the way, I love being pretty much deathly in palour myself). It’s the fact that being inspired by the colours, culture and natural beauty of Mexico, you didn’t go the obvious fashion Frida Kahlo route. Instead, rather clumsily and deliberately, you named the new MAC/Rodarte line products names like ‘Juarez’ (an impoverished town notorious for the number of women between the ages of 12 and 22 who have been raped and murdered with little or no response from police) and ‘Factory’, no doubt to draw attention to the murky buildings where the women work from dawn to dusk. How ill considered and thoughtless. What next on the horizon? Murky oil slick heaven mascara and B.P black/blue duo eye colour? The fashion and beauty industry may be filled with luxury products that inspire and visionary types who make them happen but women everywhere should not be sold a field of dreams when those dreams are the very nightmare lives and forgotten suffering of women in poorer nations. The world is smaller than we think and internet communication can highlight these inequalities and the inadequate misguided intentions of major international brands like MAC (owned by Estee Lauder). It’s equally a travesty that all the great things MAC have done over the years with the MAC Aids fund (and Viva Glam etc) could instantly be forgotten in one fell, ill-considered swoop. Tsk. Lets get back to your usual top form, MAC. Don’t let us down. What do you think of this action by MAC? Would you consider buying these products or would you boycott them? Do you just think MAC has been rather near sighted and would you forgive them this misdemeanour? 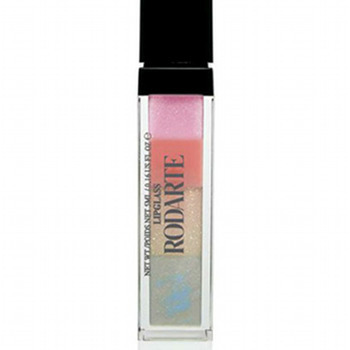 Do you think MAC’s marketing should have raised this possible issue with Rodarte before proceeding with product naming? Do you think MAC should use this as an awareness raising issue and donate all monies to Juarez? Please let me know by leaving a comment in the box below or in the ‘shout mix chat’ area on the right. With all the hard work MAC does to raise social awareness this was a grave oversight on their part, they should have had the foresight to maybe design a campaign where a % of sales could have gone to the women and people of Juarez from the very start, just like they do for other campaigns. They must have done research which would have told them the condition of peoples lives in Juarez. Did they not feel compelled enough to act, especially as they were going to name products after these places? As a leader in the cosmetics industry they should be proactive, not reactive as they are now doing because of customer complaints. Having said that I would forgive MAC and I would still buy these products, especially as I know that a % will now go to Juarez. I believe they have will have learnt and important lesson and will do better next time! It sounds like a make-up range from Vice mag, not MAC. It’s pretty out-of-character for MAC, given that their usual shades sound like names from packets of Love Hearts, rather than anything political or agenda pushing. Perhaps the Rodarte girls were feeling cheeky or desperately trying to be edgy on naming day. But seriously, where do beauty companies get their names from? Do we as women really identify with lip colours such as Tramp, Gash and Oversexed? Juarez is a step too far and will disappoint many MAC fans, but realistically, it will all blow over when the next big collaboration comes out. We forgive and forget huge political scandals, an insensitively named lip gloss isn’t going to bring down MAC. Why can’t they at the very least change the product names and stick some new labels on the products??? Thank you girls for your comments. Keep them coming. I’m just amazed that someone somewhere in MAC/Estee’s vast marketing/PR area didn’t think this might be contraversial. Their crisis management skills must need testing! Wow, it’s taking me a while to get through all the blogger posts on this issue, but I’m interested in everyone’s take on this. On reflection, I think it’s very sad that the Rodarte sisters find beauty in such a brutal, exploitative existence. There are many beautiful emblems of Mexican culture, especially the dia de los muertos festival, but the appalling conditions in Juarez is certainly not one of them. I wonder if their experience of Mexico went any further than the beach resorts of Cabo San Lucas. Very disappointing. I honestly think there’s a distinct difference between inspiration for a designer’s catwalk collection (as this can highlight a plight) and the naming of beauty products for the mass market line. Really, some director or manager should have highlighted this potential issue. spent all night reading all these blog posts! yours is very well written too! im so pleased we are all raising awareness on this topic!